I've been using these German made knives the filet fish, and just about everything else, for ten years and haven't found anything better. Their sharpness and flexibility is unbelievable, and that makes unzipping a tough species like redfish almost a breeze. You can practically fly through a sea trout in less than a minute. 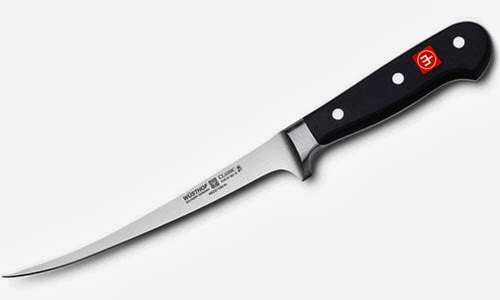 Wusthof is not cheap and the 7" Classic that I use retails for around $100, but this is a blade you'll have for many years so that's actually a bargain. They also come with a lifetime warranty. Buy yourself two, one for your boat and one for your kitchen.